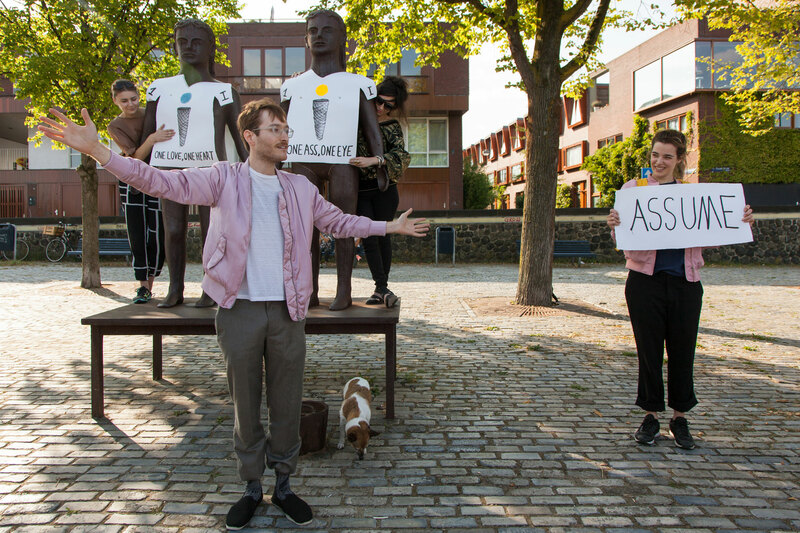 David Bernstein & Jokūbas Čižikas presented a story-telling tour connecting the Oostelijk Havengebied and the Indische Buurt. 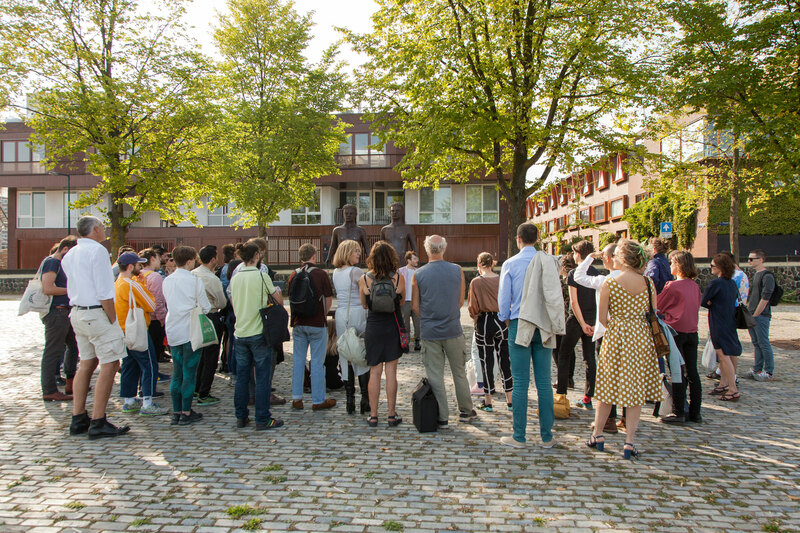 Including a boat expedition and several visits/performances, the tour tackled the rapport between departing, collecting, memory and fiction. The different movements and transitions contemplated on the role and function of artworks as transitional objects and exhibitions as imagined or floating spaces. 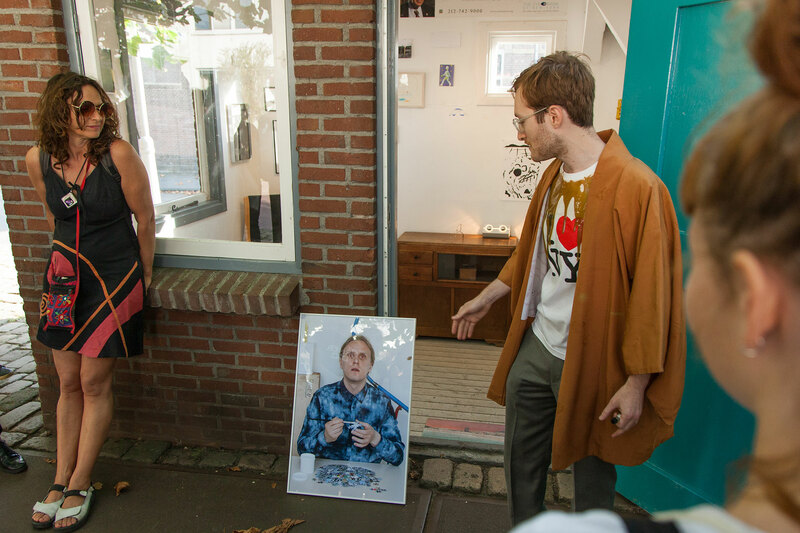 David Bernstein’s personal collection of artworks and found objects that was on display at Museum Perron Oost was also activated and performed during the tour. JOKŪBAS ČIŽIKAS (b. 1988, Vilnius) is an artist based in Amsterdam. His practice combines installation, research based video, performance, concept sound and sculpture.